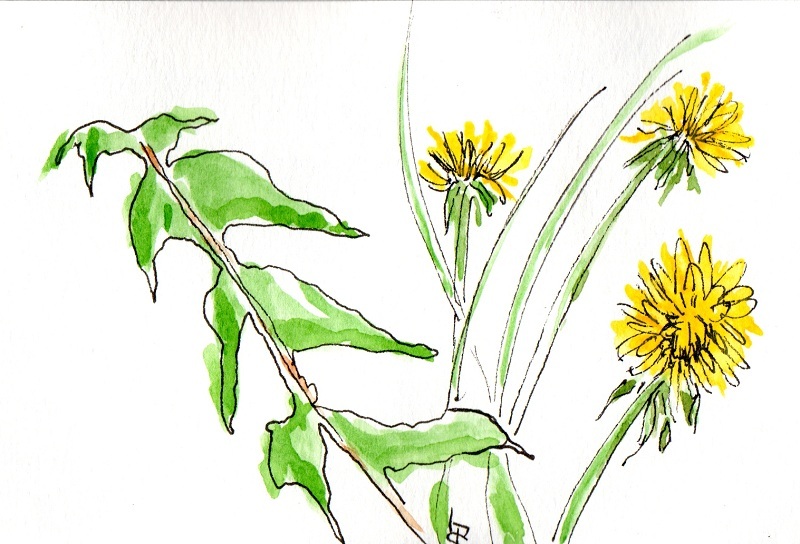 I followed a grand tradition of artists by heading North to Maine this spring. Not that I'm anywhere near this category, but over the years the likes of Georgia O'Keefe, Edward Hopper, Maurice Prendergast, Max Weber, George Bellows and ofcourse members of the Wyeth family spent summers working individually or in groups around the gentle state. That's a pretty good recommendation in my book. Art colonies like the Perkins Cove Art Colony in Ogunquit or the renown Haystack Mountain School of Crafts on Deer Island are recognised nationally and internationally. And art is still one of Maine's tourist attractions – small villages and towns on the coast,and inland are reinventing themselves through art – the creative economy vibrates and draws visitors. Some are still in the throes of developing and some are very upmarket with an established presence. Sculpture has long been a passion of mine and I have always wanted to try my hand at chipping away at stone. Luckily for me, the wonderful luck of being the recipient of 2013 Delaware Division of the Arts Fellowship Award for Folk Art in the Visual Arts Discipline gave me the where withal to take a one-on-one workshop with Maine sculptor, Anne Alexander. I spent three days testing my teacher's patience and falling in thrall to chipping stone. I loved everything about it – well, okay, I wasn't that crazy about the labor intensive sanding, but it's a small quibble. I finished one small piece and got going at a good pace on the second. 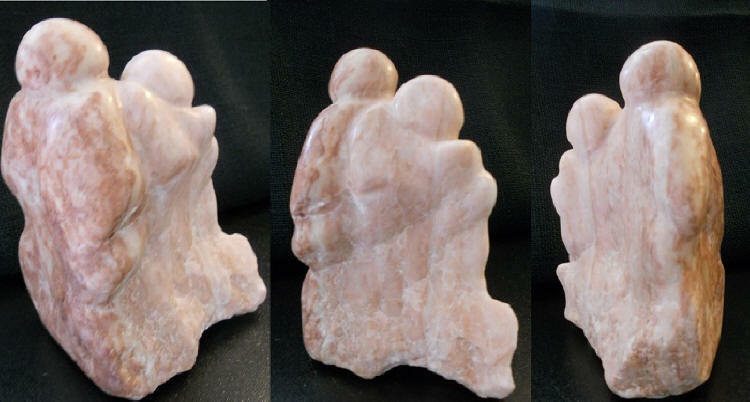 I worked with alabaster, a very tranquil and fluidly colored stone. The stone told me a family was inside it. My youngest nephew and his wife in London presented us with their second son the day I started the workshop, so I've called it "Warm Welcome" for the joy wee Noah brought us with his arrival. The second stone has a woman inside it wanting to free herself from conventional life. She is working her way out, or at least she will continue to after I buy the necessary tools. I was fortunate to be able to work with Anne's tools for a test run before investing in my own. Portland is very hip small city – walkable, safe and vibrant. The energy of youth flows out of the Maine College of Art right in the center of town and the Portland Museum of Art is a towering presence. Cobbled stone streets and enticing alleys filled with restaurants, galleries and specialty shops add to the allure. I am particularly fond of port cities, there is a vibrancy and sense of adventure when ships of any size, and the people around them, are part of the scene. Lighthouses are ubiquitous along Maine's coast – some gracious, some squat, some sturdy and functional – they are all very paintable. We rented a charming rustic cottage sitting peacefully about 20 yards from the water in the area just north of Belfast. Luckily they haven't torn down the old cottage style resorts of the 1950's and replaced them with mega hotels or condos. Instead they have renovated the cottages and kept the charm. We noticed this all over the state. Just why Maine is so established as a destination for artists is apparent almost the minute you arrive. I heard somewhere that actor, Parker Stevenson said "I looked along the San Juan Islands and the coast of California, but I couldn't find the palette of green, granite, and dark blue that you can only find in Maine." He could have a point. The dramatic coast line, soft inland vistas and vibrant light of Maine enchants the eye. The drive from Portland up Route 1 is charming, full of towns nestled on the coast with protected harbours littered with lots and lots of bobbing sailboats. Maine's fingers of land project out in to the Atlantic peppered by islands, big and small. It's not only a visual treat, it's boating heaven – except for the weather. The long winters make for a hardy population and a very short summer. Very much like Great Britain – the similarity is amazing right down to the fact their boats are elegant with beautiful lines. It got me wondering how peoples who live in harsh climates gravitate to the ocean in boats of such grace. Stonington Harbor on Deer Island at the end of one finger is a step back in time. It is still very much a working harbour with all the hustle and bustle of fishing boats throbbing through the water and men in bright oilskins hauling lines and shouting good naturedly at each other. Acadia National Park covers a large area and is not all in one place but it is very beautiful. It is the perfect example of Maine's "palette of green, granite, and dark blue." 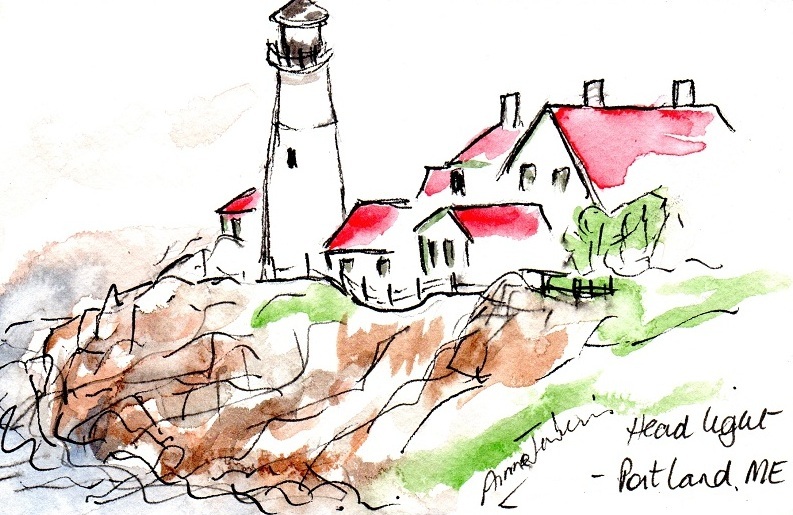 Schoodic's jumbled rocks and crashing waves have probably been painted in more styles than anyone can remember. It's a very dramatic place. But I rather like the tranquil black shale beaches instead – they pop up unexpectedly around a corner and are vast, haunting and exude an edgy shimmer. Some have dark green trees right down to the water, others have a vista that seem to go on forever. One of the benefits of all this cold water is superb seafood. 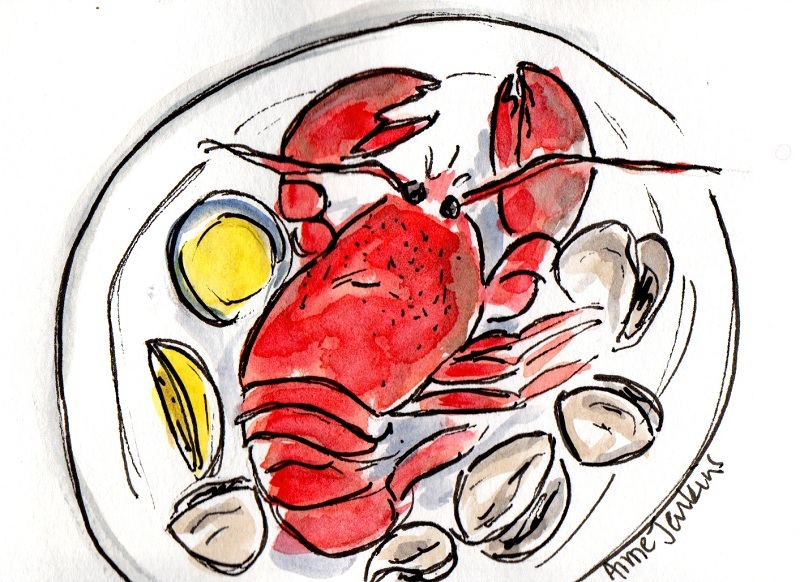 The lobster and "steamers" - Maine's clams – are delicious and seafood eateries, shacks, stalls and guys selling out of the back of their pickup truck abound. The locals love their lobster rolls...chunks of lobster on toasted, slightly sweet, ochre-coloured bread. 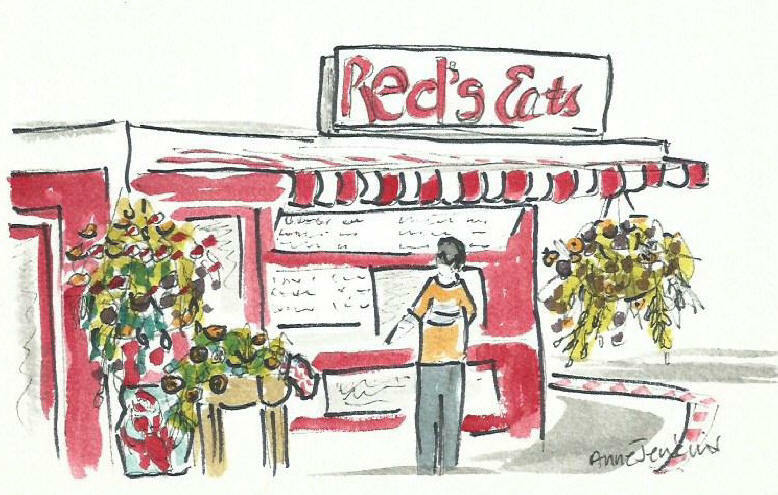 Red's Eats, a shack on a corner before the bridge at Wiscasset on Route 1, has received national and international press, television and food networks attention for their lobster rolls. It's touristy but it is a Maine icon. I prefer lobster simply steamed with drawn butter for the pure taste. But anyway you eat it, it is abundant. Their clams are, without a doubt, the best I've eaten anywhere in the world. The farmer's markets and small stalls dotted about state are a testimony to the revival of locally grown produce and farm produced cheeses and other wonders of culinary delights. I am already plotting when I will return to Maine – I definitely will. 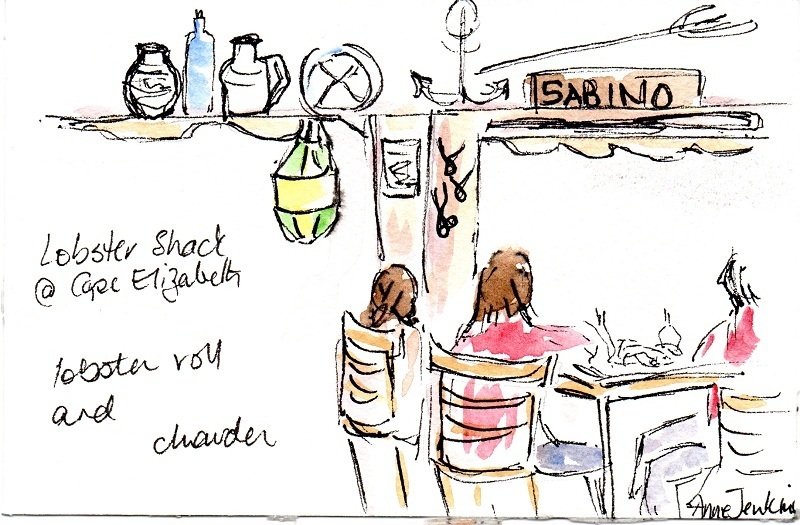 It is beautiful, it's got great food and I must go and do more than just quick sketches, or maybe just lots of quick sketches. 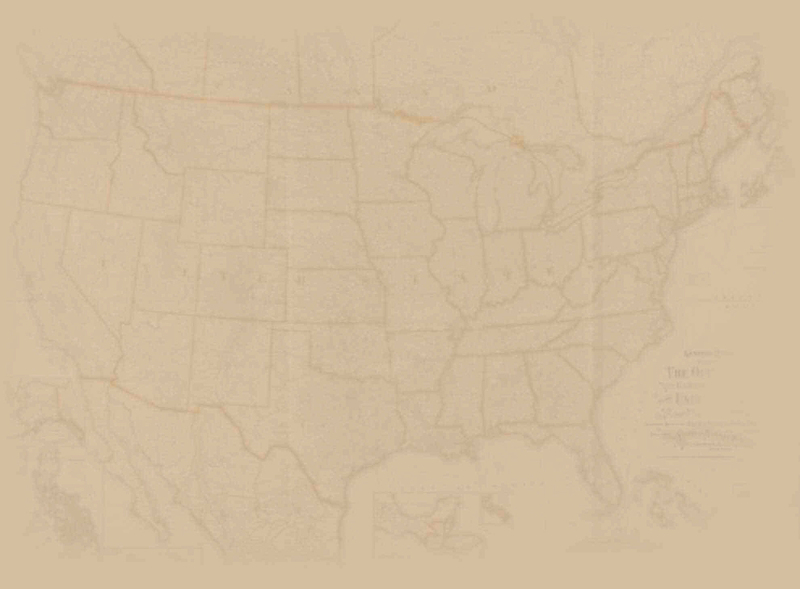 Our ads help fund American Roads so please consider them for your needed purchases.